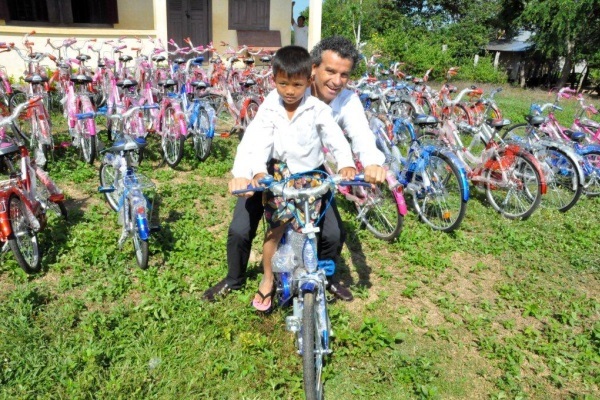 Our close bond with Cambodia began when Stefano, our youngest brother, adopted Chamroen and Sokchea, two beautiful Cambodian children. 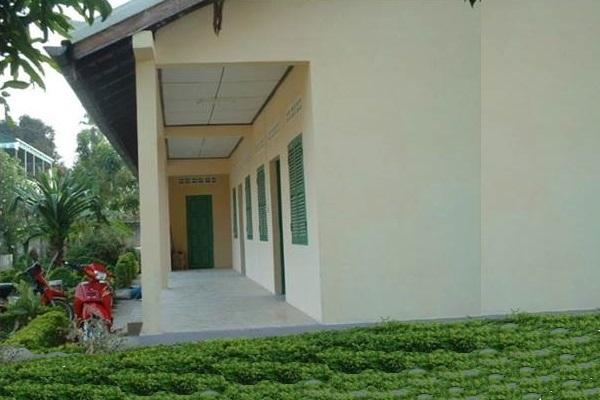 After becoming aware of the pitiful state of Cambodian orphanages and the challenges they face, we decided to build a nursery school within the Battambang orphanage. 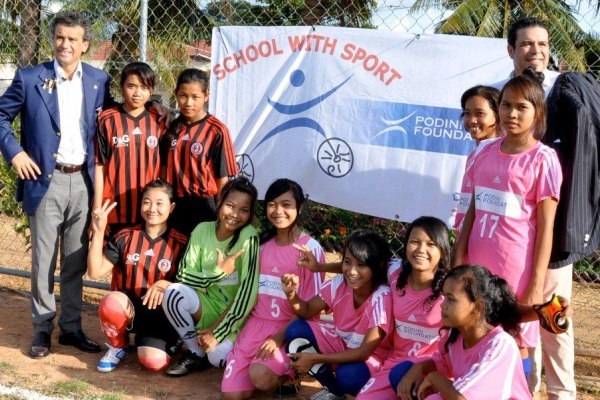 As a follow up, and with a view to expanding the scope of our involvement in the country, we decided to take action to address the high dropout rate from Cambodian schools by replicating and expanding the “School with Sport” project. 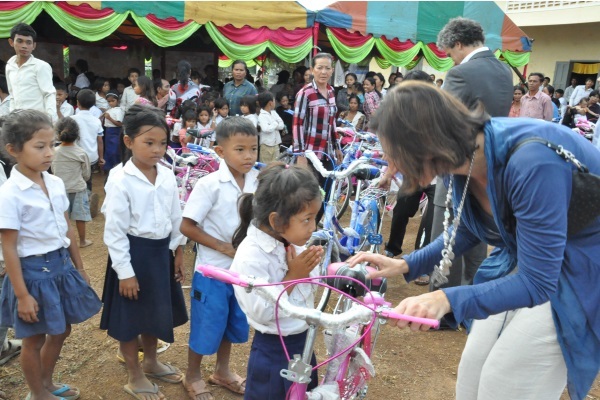 Lastly, we donated 400 bicycles to Pailin to help children and teachers reach rural schools while avoiding areas where landmines are still present. 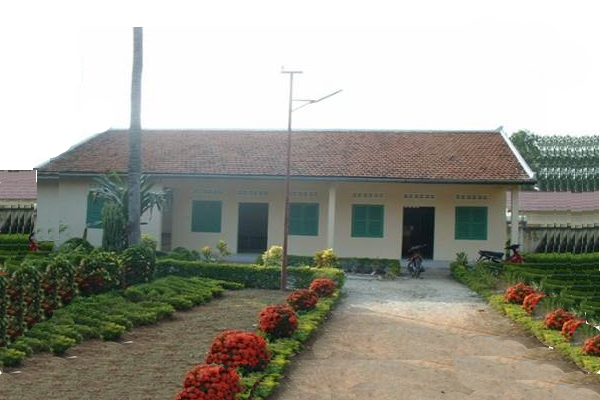 Additionally, in order to promote health and education in Kampong Thom, we provided children there with sports clothing and equipment and were involved in the renovation of specific sports facilities, including a soccer field and a basketball court. 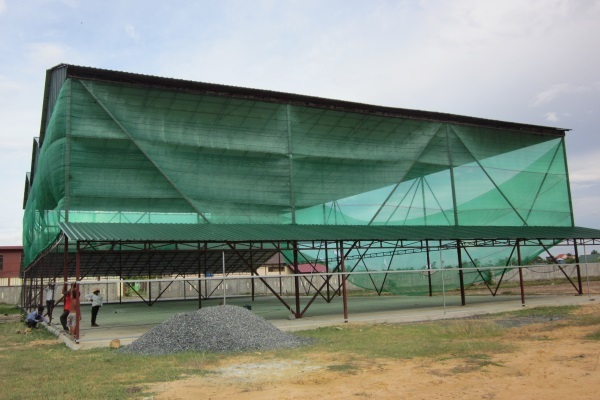 An indoor sports facility was also built for St. Paul’s Institute in Takeo so that students could enjoy regular sports practice, regardless of adverse weather conditions. 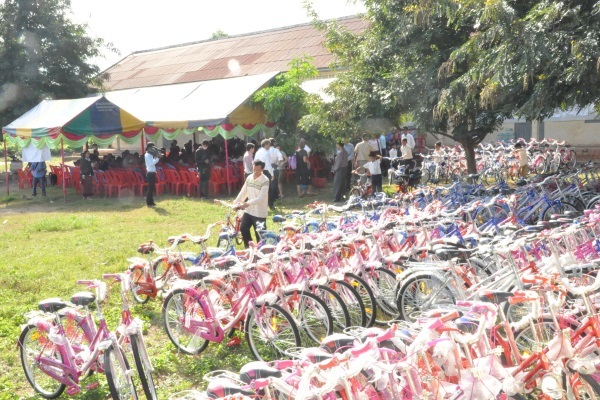 These initiatives seek to keep children off the streets and away from delinquent gangs. 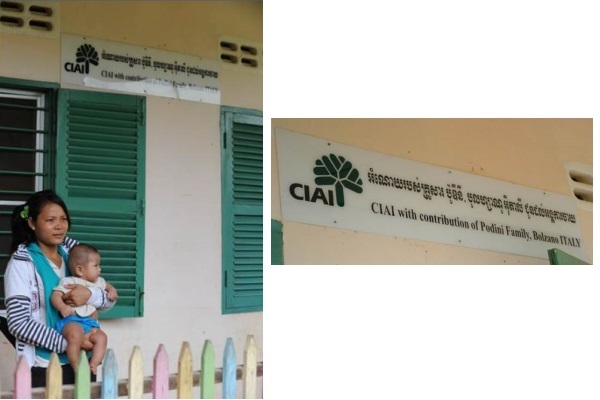 We have also provided food, clothing and school supplies to the children at the SFODA orphanage in Phnom Penh, and donated sportswear to students at the School of Peace in Boeung Tumpun.